Julius J.E.Thompson Philadelphia Bulletin Seventies Memories! I wish everybody a healthy and Blessed 2016 Memorial Day. This is a special day for me since my father was a solider in Europe during World War II, my step-father in the Pacific Theater in World War II and an uncle fought in the Korean and Vietnam Wars. Today, on a Patriotic holiday, is when I miss Philadelphia and walking through the historic districts like the Olde City and Village Forge and other notable places of interest. For the past few Mondays, I have talked about the Meccas of basketball in Philadelphia: the historic Philly playgrounds, unique high school basketball gyms, McGonigle Hall and The Palestra. Today, I want to talk about the sports department of the Philadelphia Bulletin that was unique and told a story about an era in Philly sports that was outstanding and will never be duplicated again. The people, places and events formed a narrative that gave a group of coaches and athletes exposure that was unique. Herm Rogul: People in Sports – Gave exposure to all athletes and events in Philly that was ordinary and extraordinary at the same time. Late at night when we were “Putting the Paper to Bed”,newspaper term for finishing the first edition. I would sit and talk with Herm and asked him why he wrote the column? He told me he wanted everybody who participated in sports to have their name in print and get a moment of glory. Very simple and very effective! Frank Brady and Frank “Bivo” Bilovsky: The Big Five – These two basketball gurus gave the exposure to the best basketball teams in America. Some of their best stories were about Jack Kraft at Villanova, Harry Litwack at Temple, Paul Westhead at LaSalle, Jimmy O’Brien at St. Joseph’s and at Chuck Daily at Penn. The stories of the other coaches and players were too numerous to repeat. Funny stories abound! Jack Freed on Boxing: He was the original Matt Ring and was around for some of the great fights of all time from the 1930s to the 1970s, including Ali-Frazer “Thrilla in Manilla”. Bob Savett: High School Sports and Penn Athletics: He was my mentor when I arrived in Philly. He showed me the insides of covering Philly sports and was at my first assignment in covering Andre McCarter at the Markward Club. Bob Wright: Brought life to high school sports in South Jersey communities in the form of inspiring columns. Ted Silary: I gave a recommendation for this sports reporter to get a job at The Bulletin from a suburban paper in Montgomery County. He left The Bulletin for an outstanding career with the Daily News. Julius J.E. Thompson: High School Sports: One of my all-time incredible stories was not basketball, but football. Bok Tech, under Frank Guida, had not won a game that year and had not scored a single point. They were losing at West Philly and had been outscored, 379-0, nearing the end of the last game of the season. With less than two minutes Bok was driving and got to the West Philly goal line with time running out. The running back slipped when he was about to cross the goal line as the buzzer sounded. They were within inches of scoring a touchdown. They fought to the very end of the game and never gave up. That South Philly ‘Grit’ can be found in all athletes bred south of Market Street. I asked Coach Guida, a good coach and even better man, could I ride the team bus back and get a feel for his team. The bus ride was silent until we arrived at Bok Tech. That’s Philly sports: Honest, heart felt and very, very real. His players learned that losing was a part of life and how you handled adversity showed more about your character and how you would handle tough situations that arise in your future. Philly Sports is winning, losing and handling adversity. This was shown in the many columns of the magnificent seventies’ Philadelphia Bulletin sportswriters. Terry Kay Comments on A Brownstone in Brooklyn! A Brownstone in Brooklyn in Brooklyn celebrates its’ 15th year of publication. A Brownstone in Brooklyn celebrates its 15th year of publication in 2016. The novel, the first in the Julius JE Thompson Trilogy, was published in 2001. The trilogy consists of A Brownstone in Brooklyn, Philly Style and Philly Profile and the national award winning The Ghost of Atlanta. 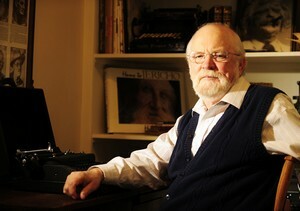 Terry Kay published the novel, The Valley Of Light. His first novel, “The Year the Lights Came On”, was published in 1976. He also wrote “To Dance With the White Dog” and “Taking Lottie Home”. Kay has agreed to write the television screenplay and co-produce an adaptation of “The Valley Of Light” for the Hallmark Hall of Fame. Two other Kay novels—-“To Dance With the White Dog” and “The Runaway”—-have been Hallmark Hall of Fame movies. Please click to purchase A Brownstone in Brooklyn! Former Evening at Emory University Writer’s Studio Instructor! Julius J.E. Thompson Creative Writing Consultations! Experience: Creative Writing Instructor for nine years at Evening at Emory University in Atlanta, Ga.
National Award-Winning Author: “The Ghost of Atlanta” is on the bookshelves of Barnes & Nobles. * Discuss the set of tools to help you address issues such as developing captivating scenes, creating vivid descriptive specific details, living in the setting, editing and grammar and other crucial elements to help you write a potentially success novel. * Provide you with a list of resources that will further develop your creative writing ability. Sometimes, I put myself in the psyche of a reader who scrolls over the book list on the Amazon website or stroll down the Barnes & Nobles’ bookstore isle. What makes the reader click and purchase your book on a website or pull a copy down of your novel from the bookshelf? I want to develop a great yarn in my novels. My books are filled with hopes, dreams, challenges and fears that make us human. That is my philosophy in crafting novels. I knew when growing up I would be a writer. From an early age in Winder, I was a dreamer, walking down the dusty red clay dirt roads of the Bush Chapel section, of this small Northeast Georgia town, while watching the cars motor on the Hog Mountain Road. Every evening I heard the whistle of the Southern Railroad trains passing through Winder creating a nagging longing to know the destinations of the trains. One day, when I moved to New York City travelling on one of those trains called the Silver Comet, I would see the world outside of this small southern town. It’s been a journey that I’ve told in newspaper articles and now as a published author. Here are reasons why you should really read my books. Writing from the heart and Personal Growth! There are so many rewarding challenges in writing a book. By expanding your philosophy and sharing it with others, you’ll find inevitable growth. You will learn so much more about yourself and others you will want to write another book while you are completing the first one! We write not just to change the world, but to create a new world. This is a perspective I share in my body of written works. I develop new ways of seeing the world and how our experiences shapes us mentally. Some people run and exercise, some people play sports, but I write to create healthy mental moments for myself and my reader. Books to help people reach their writing goals! Do you know what it’s like to go out and sign books? I do. It’s an exhilarating experience that only a few people understand. Once your book is published, the door of opportunity will fly open. You will meet people you never thought you would. Further, people will want to work with you and learn your story. Books form a unique perspective of experience and knowledge to help others avoid the errors and the mistakes you failed to overcome in reaching your goals. For example, Jumpstarting Your Inner Novelist is a self -help book based on nine years of teaching Creative Writing at Atlanta’s Evening at Emory University Writers’ Studio, writing five books and going through the treacherous publishing process. People should read, learn and use the knowledge I present in my non-fiction books and how the characters overcame problems in my fiction books to learn and grow as writers and readers with a broader understanding of the world. My Books of fiction based in real places, especially the Julius J.E. Thompson Trilogy! It is a good feeling knowing people are buying my books. Not only that, but those sales can lead to bigger opportunities. I write to entertain and tell a good tale in my novels. There is nothing to lose and everything to gain in writing a book. Personally, it has been one of my greatest and most rewarding achievements in life. I create characters that build relationships, face challenges, overcome fears and live their lives in my novels. I want to create teachable moments, but in entertainment form that capture and keep the readers’ attention. This is the best way to share an idea or story that matters. And if it matters to you, maybe it’ll matter to others. Because the book you actually write is better than the one floating in the dream world of your mind. In conclusion, you should read my books to see characters living their hopes, facing challenges, overcoming fears and working hard to reach their dreams. Please click to purchase Jumpstarting Your Inner Novelist! JUMPSTARTING YOUR INNER NOVELIST AMAZON BOOK GIVEAWAY! Enter Julius J.E. Thompson’s Amazon Giveaway and a chance to win this book on creative writing. Win this Book in an Amazon Giveaway! 5.0 OUT OF 5 STARS…JUMPSTARTING YOUR INNER NOVELIST, A MANUAL WITH A DIFFERENT FLAIR! DENNIS DE ROSE Book Review! Julius Thompson has written a fantastic manual to help new writers and seasoned writers as well. Every creative individual has, at one time or other, hit their creative rock bottom. This manual may be able to help you hit your high note. I have known Julius for five plus years and I have edited all of his books. It only made sense for Julius to ask me to co-author Jumpstarting. I have contributed two articles, the importance of good grammar and a few editing do’s and don’ts. This manual is so much more than just a motivational tool.This guide will provide you with a set of tools to help you address issues such as developing captivating scenes, creating vivid, descriptive, specific details, living in the setting, editing, grammar and other crucial elements to help you write a potentially successful novel. I truly believe that we offer the reader/writer something that few may have taken the time to offer. Purchase your copy today. Feel free to contact us at any time with comments or suggestions. We are here for you! Jumpstarting Your Inner Novelist Amazon Giveaway!